Endemic to China where it is recorded from the lower Chang Jiang (Yangtse) valley (Anhui, Hunan, Jiangxi, Jiangsu, Zhejiang). Pseudolarix amabilis is a component of the mixed mesophytic, partly evergreen forest, very rich in tree species (Wang, 1961). Its altitudinal range is from 180 to 1000m above sea-level, so it is a component of lowland forest in a warm temperate, humid climate which can experience occasional cold winter frost at the higher altitude. This species grows on a variety of soils derived from acidic rock; it does not occur on limestone. Several localities where P. amabilis still occurs in the wild are likely to have been altered by man and will support secondary forest, indicated by the presence of Cunninghamia lanceolata and Pinus spp. ; some of these trees may have been planted in reforestation projects nearby. On the other hand, P. amabilis is a light demanding tree and perhaps not a constituent of a late phase in the succession, which tends to angiosperm (broad-leaved) dominance. 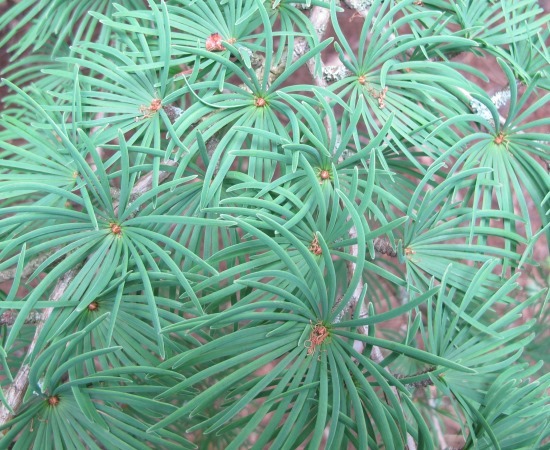 Undisturbed primary forest that contains P. amabilis is now extremely rare and, if it still exists, should be subjected to detailed ecological study. The true geographic range of this species is difficult to ascertain. 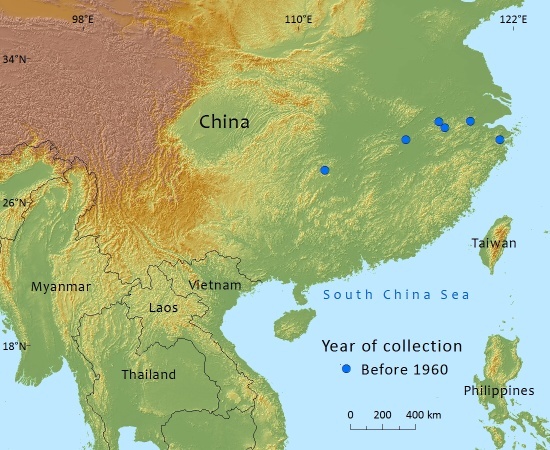 In Atlas of the Gymnosperms of China (Ying et al., 2004), a map with dots (based on herbarium specimen data from Chinese herbaria) gives a much wider range than accepted for the IUCN Redlist. A map given in China Plant Red Data Book 1 (Fu & Jin, 1992) is similarly optimistic. A check by Dr Xiang Qiao-ping in the Beijing Herbarium (PE) revealed that most of these specimens were collected from planted trees or trees in villages and towns (e.g. near temples) that did not occur in the wild. 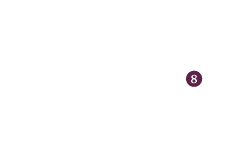 This problem is acknowledged in Flora of China 4 (1999). Wang (1961) indicates that this tree has its natural habitat in northern Zhejiang. The natural distribution of this species is based upon the populations in and around Zhejiang and two localities in southern Anhui and northern Jiangxi and (tentatively) one in Hunan; all other herbarium based localities are believed to be planted or introduced and here and there perhaps naturalized; they are excluded from the assessment. This species is very rare in the wild and occurs in a few remnants of primary forest on isolated mountains. Most locations are not within protected areas and loss of habitat is still continuing in this densely populated part of China. A detailed survey of existing truly natural populations occurring in primary mixed forest to determine more exactly the number of remaining mature trees, as well as the number of populations and their localities, is a first and necessary step to conservation action. This should next lead to the establishment of protected areas including the major sites and populations. The habitat at Tianmu Shan is being altered by the invasion of Cryptomeria japonica which was planted in the area and has now become naturalized. In Tianmu Shan, fewer than 100 mature individuals were seen and there were no signs of any recruitment (T. Christian pers. obs. 2010). it seems that the population is likely to be small and restricted to small areas. Tianmu Shan is a protected area, and it probably occurs in other protected areas. There is also a ban on logging in place. Further research is required on the range of this species, the population size and trends and the nature and impact of any threats. Wang, C.W. (1961). The forests of China with a survey of grassland and desert vegetation. Maria Moors Cabot Foundation, Harvard University, Cambridge, MA. Yang, Y. & Christian, T. (2013). 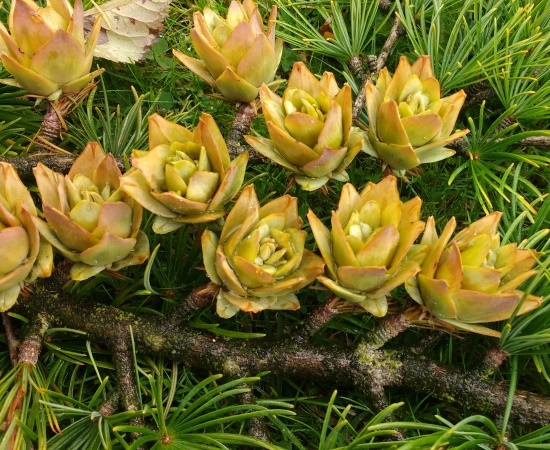 Pseudolarix amabilis. In: IUCN 2013. IUCN Red List of Threatened Species. Version 2013.1. <www.iucnredlist.org>. Downloaded on 12 July 2013. Y.Yang,and T.Christian, 2016. Pseudolarix amabilis, from the website, Threatened Conifers of The World (http://threatenedconifers.rbge.org.uk/taxa/details/943).